Do you know why babies, not just human, but all species, are cute? It's not a coincidence, they are scientifically built to be that way to avoid abandonment issues. Ok, not really related but I thought I'd share anyway because cute is what we're solely concentrating on today and there is an abundance of cuteness in this post. Because yesterday, I was at the formal launch of SM Babies at the Peninsula Conservatory and my, my, my did I have to use all the self control I could muster so I wouldn't go on a "pinching fat cheeks spree". It was like a consortium of the most adorable babies in the country all decked out in tiny and chic clothing. In other words, nakakagigil talaga. In my opinon, it's really about time that SM joins in on the baby bandwagon. The moms of today are changing. Although puff sleeves, dresses with chest panel embroidery, smocking and little lace socks are still very much appreciated, they just won't cut it all the time anymore. Moms of today are always on the look out for something new and different, which doesn't always translate to pink and frilly. Parents, myself included, enjoy dressing our kids like little mini me's and the last time I checked, it's been awhile since I last wore a poofy, cotton candy pink dress. So this is really great news and not just because of the obvious increase in variety but also because it's SM. We all know that when it's from SM, it's sure to be very reasonably priced. So anyway, to celebrate the formal launch of SM Babies, a photo exhibit called "Special Moments" featuring the special bond between mommies and babies was shot by Pilar Tuason and put on display at the Conservatory. Model moms included several tv personalities, models, society women and even a blogger mom, Tin Dychiao of Manila Fashion Observer (yay, represent!) who posed with her adorable little boy, Xavi. The SM Babies team handpicked all the moms who participated in the exhibit. 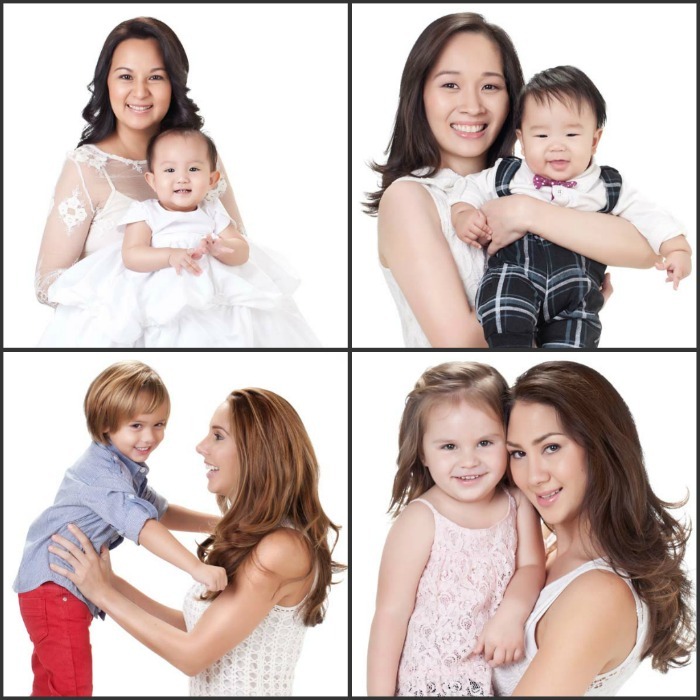 From actress Andi Eigenmann to radio darling Delamar Arias to former TV personality Nicole Hernandez-de los Angeles, “Special Moments” shows that all types of moms shop at SM, not only because SM has it all, but also because they believe in SM Babies. The exhibit also included society moms Marta Araneta, Isabel Olondriz, Maia Martirez-Hing, and Grace Barbers-Baja, as well as sisters Emillie Montenegro-Yupangco and Rose Montenegro-Boonpongsa. Model Georgia Schulze-del Rosario, blogger Tin Dychiao, and make-up artist Angela Yeo, are also featured alongside designer Rosanna Ocampo-Rodriguez and Magazine Editor Juana Manahan-Yupangco. SM Babies is available in all SM Department Stores nationwide. Like http://www.facebook.com/smbabiesfashion on Facebook.